The program is designed for children (3-5 yr olds) who are preparing for school to extend their basic skills and gain practice and understanding of what is expected in the 1st year of school. 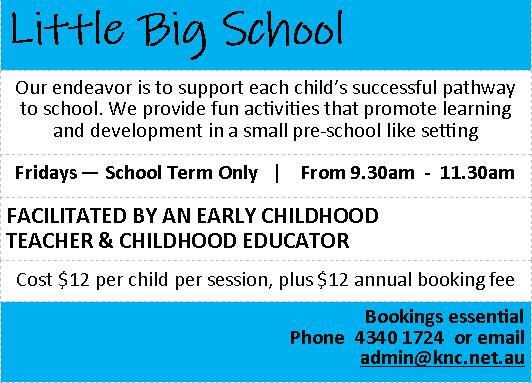 Providing fun activities that promote learning and development in a small pre-school like setting. Cost: $12.00 per child per session plus $12 annual enrolment fee.